It is not unusual for a parent to ask me for advice about their child’s desire to commit to Christ. But when my son began asking me about baptism a few years ago, I had a chance to walk in the shoes of those parents, instead of just the minister. Spiritually leading our children is the greatest of all priveleges, but that doesn’t make it easy. If you embrace the Biblical concept that we all must choose Christ for ourselves, then you recognize that there are times when a child is not ready to be baptized. On the other hand, we do not want to squelch the genuine desire of a mature child longing for Christ. None of us will ever have complete understanding of salvation (at least in this life), but how can we figure out if a child at least has enough understanding to make this commitment? Have they studied intently? Encouraging your child to study on their own (along with learning in special classes or church settings), is a great step. You should be studying too, but allow them the responsibility to study some on their own. 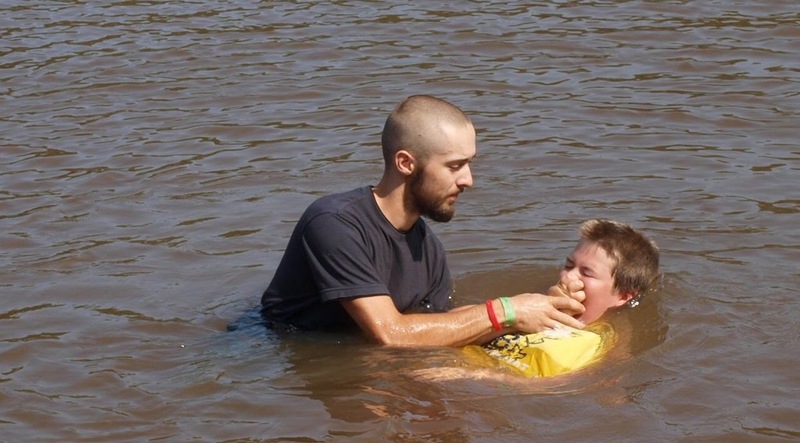 For a simple, Biblical study of baptism, click here. Do they feel guilt from sin and love of God? Motives matter. Kids may want to be baptized because they saw a friend receive attention, they desire to please their parents or maybe they just really want to take communion. Obviously, these are not the motives they need. My experience teaches me that if a person does not understand that we are covered in guilt, they are not to a necessary place of understanding. If we do not understand our guilt, we do not appropriately grasp God’s grace and love. Are they persistent? Time allows us to test a child’s sincerity. It’s not the only test but it’s an important one for children. If your child mentions baptism once, but never mentions it again, that should tell you something. Have you received input from Godly leaders? It saddens me when parents do not ask for any sort of guidance and help with this huge decision. Ultimately, they are the spiritual leaders in their home, but I find it unwise to not seek prayer and wisdom from those who may have helpful and experienced input. As with the rest of parenting, these decisions may not be cut and dry. But if you are wrestling with it, that encourages me. That means you are praying, seeking wisdom and treating your child’s spiritual health with great care. I’m thankful that we serve a God of grace. We will not always navigate these decisions perfectly (for ourselves or our children), so we’ll lean on grace and keep seeking truth. Was this helpful? 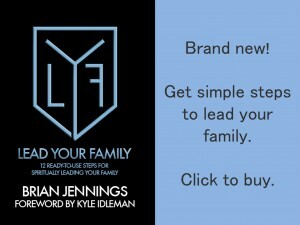 Check out my book, which is full of practical ideas to help you lead your family.